When you have already purchased the Flash & Diagnostic Toolkit and you only would like to upgrade the software from FlashCan to IsoMatch TopService, you need to download the software from the Kverneland Group dealer portal or from www.isomatchtellus.com. Activate the IsoMatch TopService tool by purchasing the license key. IsoMatch TopService is the new user friendly update and diagnostic application that can be used on all Kverneland Group devices. 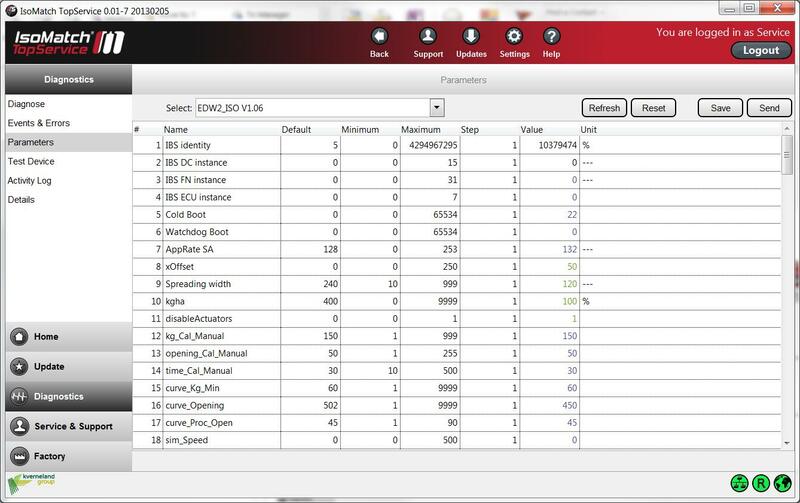 The ISOBUS diagnostic functionality can also be used to diagnose other ISOBUS devices. This licence key is needed to activate the full functionality of the application. By using IsoMatch TopService we are convinced that our factories and dealers can and will improve their service level. With the new improved software we guarantee farmers’ will be satisfied with our high quality service. Also IsoMatch TopService is smart, efficient and easy. IsoMatch TopService is made for the user. Whether it is a frequent user or someone that doesn’t use it often, the tool is very functional and easy to use. Updating a device with IsoMatch TopService is easy to do because of the following functionality. With a new software update it will be easy to give and receive remote support whenever needed. 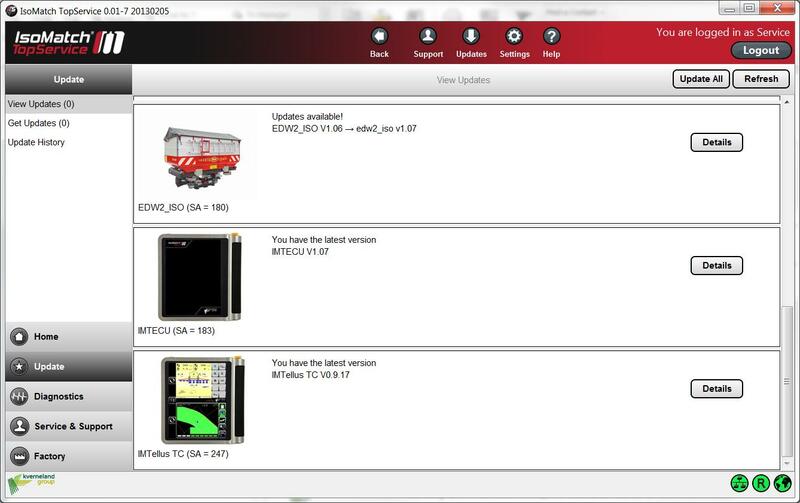 With an integrated virtual universal terminal all connected ISOBUS implements will be viewed remotely. Being able to manage a problem with remote control is a big positive. Remote support makes a direct solution on an ISOBUS issue possible. IsoMatch TopService offers a wide variety of functionalities that makes service in the field and setting up and testing a device in the factory smart, efficient and easy . * Will be available in the next version update. Updates are automatic and free of charge.